VIENNA TOWNSHIP, Ohio – Exposed ceilings, ductwork and brick are concealed in most commercial buildings, but The Builders Association of Eastern Ohio and Western Pennsylvania will leave them on display at its new offices along state Route 193 here. On Wednesday, members of The Builders gathered to break ground on the $1.5 million project. The 4,011-square-foot office building will be built in front of its current offices, closer to the road, to draw attention to the craftsmanship put into the building. The structure of the outside of the building will be a combination of metal paneling, brick and large glass windows. The inside will have exposed ceiling and ductwork and will be an open office space with a lot of natural light, Lankey said. A large conference room will overlook state Route 193. The building will house the new offices for the organization, which represents more than 150 building contractors in Mahoning, Trumbull and Columbiana counties in Ohio, and Mercer and Lawrence counties in Pennsylvania. The member contractors employ workers in all 15 of the building trades. 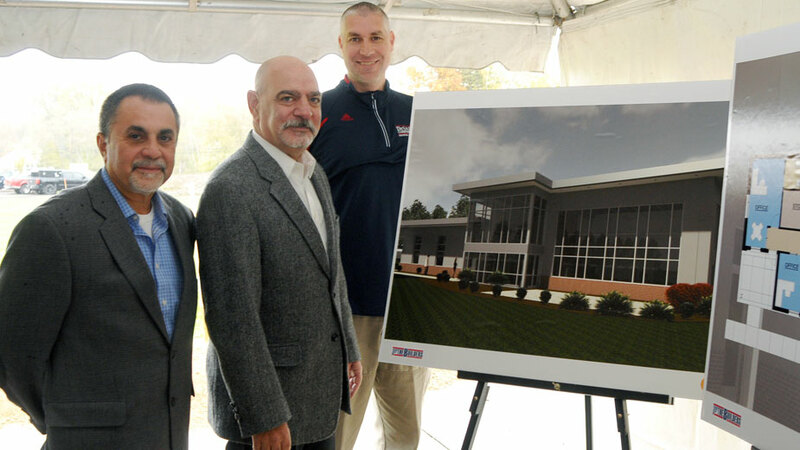 Pictured next to a rendering of the construction project: Jerry Zreliak, The Builders Association building and grounds committee chairman; Gregg Strollo, principal of Axiom Architects; and Joe DeSalvo, president of DeSalvo Construction. DeSalvo Construction is serving as the general contractor. Before deciding to build on its 30 acres of land, The Builders looked at remodeling its current offices or selling its offices and moving to another location. “But we wanted to stick to our home roots here and we hope this building will be a landmark on the road coming to and from Youngstown and the airport,” Zreliak said. 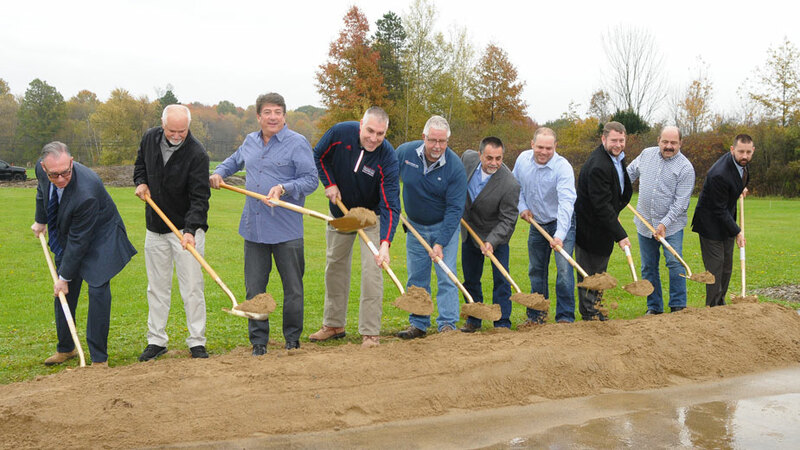 Pictured: Mark Zeidenstein, L. Calvin Jones & Co.; Jim Santini, Jim Santini Builder Inc.; Sam Boak, Boak & Sons; Joe DeSalvo, DeSalvo Construction; Jeff Mason, Youngstown Tile and Terrazzo Co.; Jerry Zreliak, The Builders Association; Jeff Donatelli, The Builders Association; Patrick Lankey, Axiom Architects; Robert Donatelli, Donatelli Electrical Services; and Kevin Reilly, The Builders Association. Once the association moves into its new offices, it hopes to lease its current offices to another business. The new offices are expected to be complete in June 2019, which is a milestone year for the organization. “It’s a milestone because of the building we’re building and because we’re moving into our 50th year,” said Kevin Reilly, executive vice president of The Builders. Pictured at top: Jeff Donatelli, president of The Builders Association; Jerry Harper, president of Connell Inc.; Dave Collins, president of Diamond Steel Construction Co.